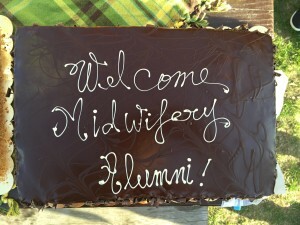 Thanks to all the “alumni” families who joined the midwives from the Blue Team to celebrate another year of babies and bellies. 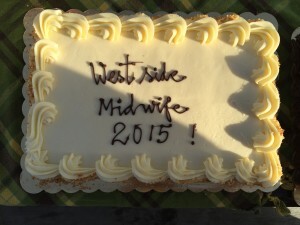 We are carrying the tradition we started at Open Door Midwifery- but with a venue closer to our news digs. We gathered at Jericho Beach on a Wednesday mid-September, and despite the iffy weather predictions, we saw the sun and a gorgeous sunset to boot. It’s such a treat to see the kids getting bigger every year. 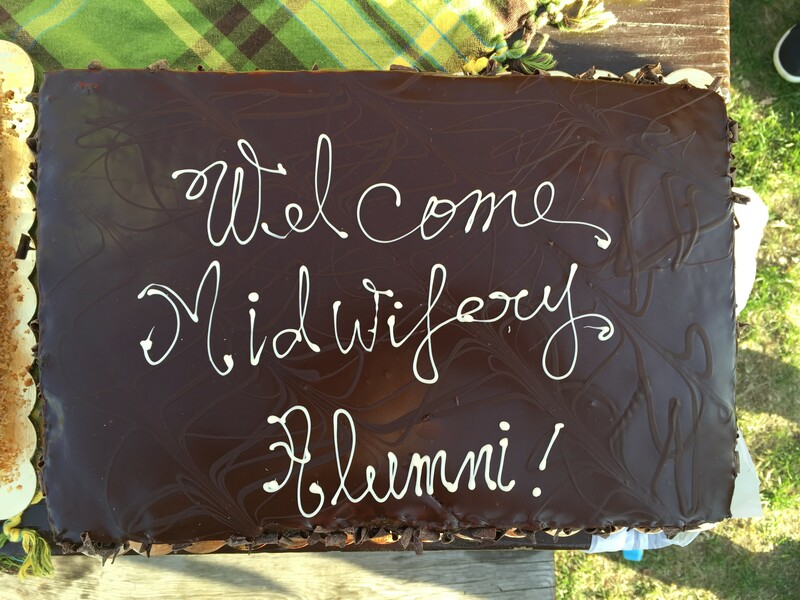 The highlights of the evening were catching up with so many families, discovering this year’s typos on the cake, and young Matt taking the balloon bouquet for a wander! Hope to see you all at the picnic next year! Here’s a few pics of the cake because we’re notoriously bad at remembering to take interesting photos of parents and their cute kiddos. If you are a former client but didn’t hear about the picnic, please be in touch so we can add you to the invitation list for next year. 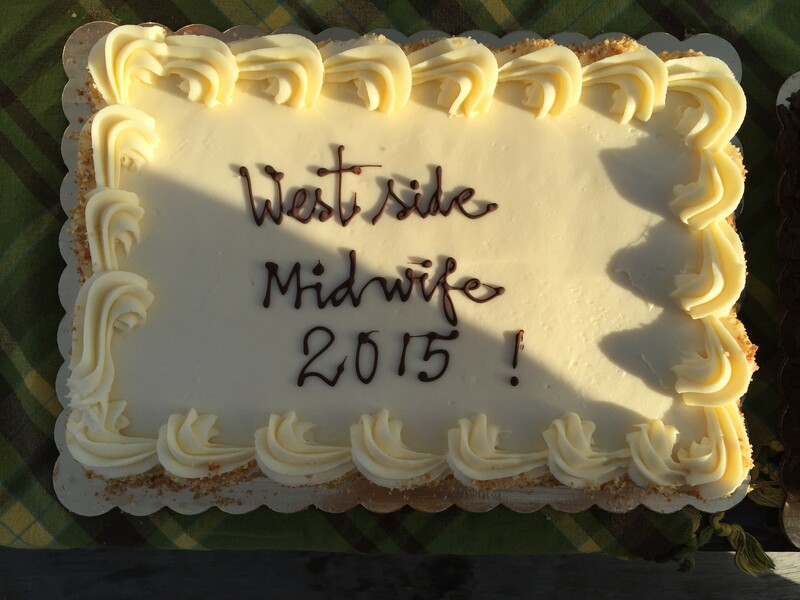 Previous: Previous post: UBC Midwifery students set to start clinical placements in September 2015.